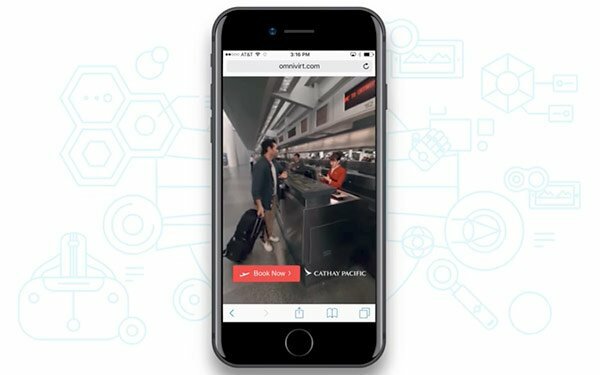 Cathay Pacific has launched a 360-degree virtual reality (VR) video ad experience powered by VR and 360-degree advertising firm OmniVirt. Released over the July 4th weekend, the ad transports potential Cathay travelers to the airline’s first-class cabin at the tap of a mobile device. The spot will not run on Facebook or YouTube, as those platforms do not support native 360-degree video, Michael Rucker, OmniVirt co-founder and COO, told Digital News Daily. Once triggers are set and the ad is ready to go, OmniVirt serves the video across online channels. “For brands looking to dip their toe into the world of VR, I always suggest they start with 360-degree VR video,” concluded Rucker. “We all have a VR device in our pocket." Rucker declined to offer details of Cathay Pacific’s spend for the ad. 1 comment about "Cathay Pacific Launches Interactive 360-Degree VR Video Ad". Dave Horner from Silicon Ridge, Inc., July 8, 2017 at 11:20 a.m.
360-degree video is NOT VR. It is just 360-degree video. The Ad industry should not be proliforating false definitions as it is important as we go forwared to understand the differences and clearly define these new technologies.